A view of the bridge that spans the Shannon at Killaloe. The photograph is taken from Killaloe's sister town Ballina. 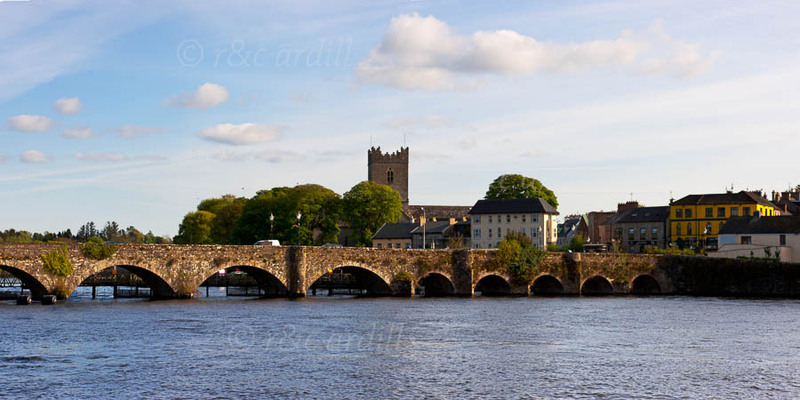 The town and church of Killaloe can be seen behind the bridge. Killaloe and Ballina are at the lower end of Lough Derg and are favourite holiday spots.